With all major corporate hub cities in the country getting populated more and more companies are ready to offer facilities like pick & drop to the employees to ease commuting. At Punja Sahib Transport Co, we offer comprehensive and ace quality Corporate Pick And Drop services. We are headquartered in Delhi and haven a fleet of cabs, coaches and vehicles our various garage houses straddling in different parts of the country. All our vehicles are extremely functional and have graceful exteriors and interiors. These are easy to drive on the soggy and edgy roads and require no servicing. All the accessories in the vehicles such as side mirrors, head & rear lights, music system, brakes etc., are also new. 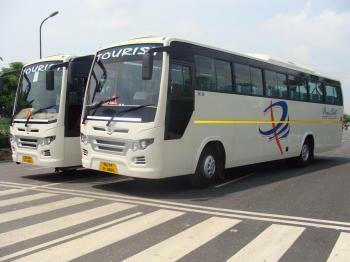 We also provide vehicles for corporate off site visits.